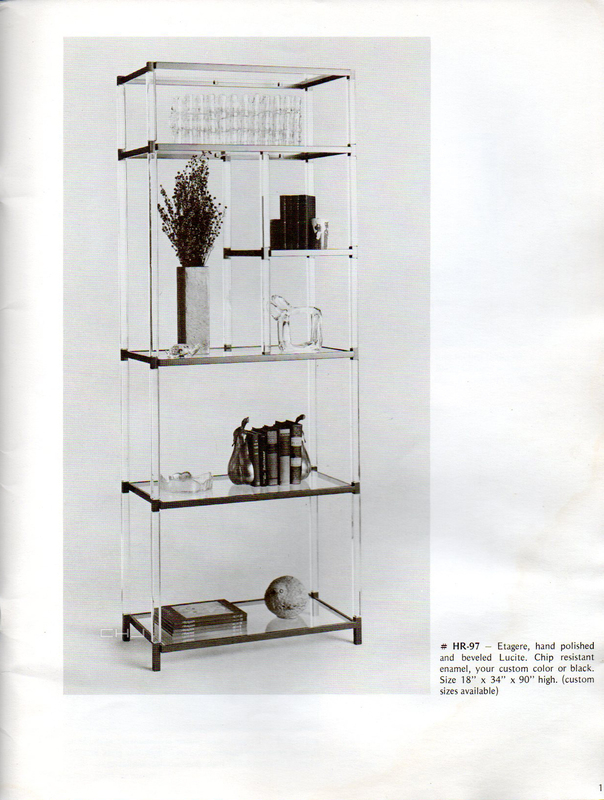 The Metric Etagere is part of the Metric Line. The Metric Line was created when it was announced that United States would adopt the metric system. As a result Charles designed a whole line of furniture based on the metric system. At its core, it is acrylic slipping into metal with an obvious absence of bolts and screws.